Hasui, Kawase (1883-1957) "Volume 6 Number 10 - The Actor Nakamura Kichiemon" - Machine Printing - Chinese and Japanese woodblock prints for sale, silkscreen, scrolls, watercolor, lithographs. Artwork Details for Hasui, Kawase (1883-1957) "Volume 6 Number 10 - The Actor Nakamura Kichiemon"
Condition: Very good. One short 8mm tear in the bottom margin. A little age toning and soiling. Kuchie: fine. Notes: Rarely seen Kabuki magazine "Entertainment Photo Book". 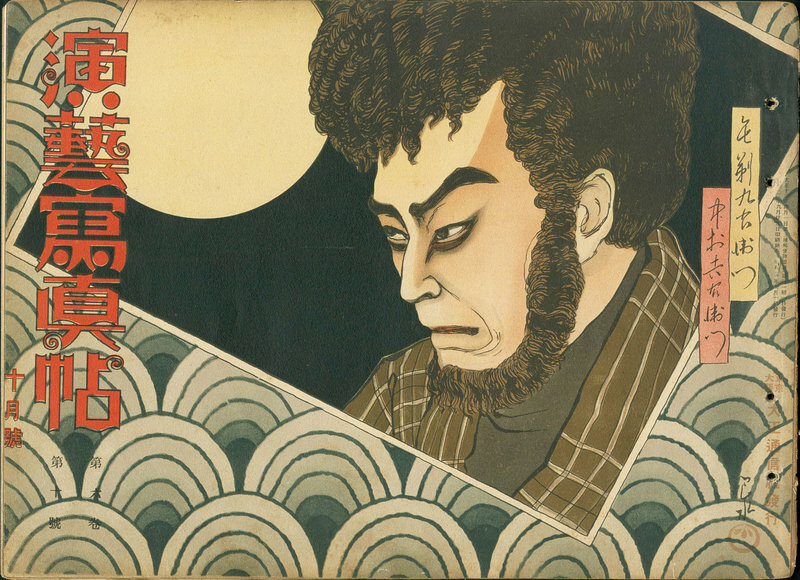 The magazine cover is a Kabuki actor print designed by Kawase Hasui, while internally the magazines also contain a Kabuki actor kuchi-e by Hasui (listed separately on this site). The printing technique is probably a hybrid lithograph/offset (common in the Taisho-era). 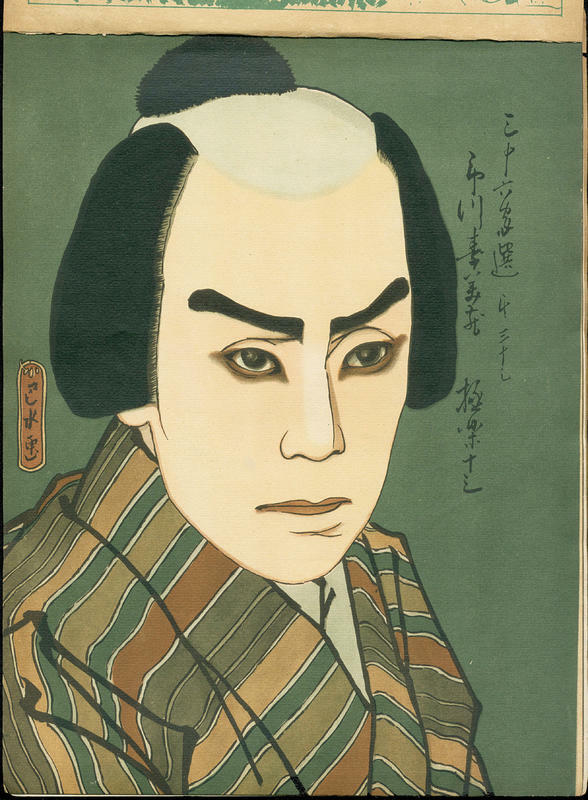 Along with the Hasui scenes, the magazine contains numerous high-quality images of Kabuki actors, Kabuki theatres, etc., as well as Kabuki-related articles. This magazine is in amazingly good condition for its age, having been contained in and protected by a hard cover magazine folder. Surviving prints from this series are extremely rare. The only examples I have previously seen are badly damaged and are contained in the recently published reference "Kawase Hasui - 130th Anniversary Exhibition Catalogue". This print is for sale as part of a set. Further details on the set can be seen here.